Congratulations to Year 11 student Chris Hawkins, who competed in a winning team that represented Britain at an international swimming gala. Chris’s passion for swimming started at an early age. During the 2012 Paralympics he learned about the S14 swimming classification which is part of a structure that enables people to take part in competitions if they have an impairment. Inspired by this, Chris became a member of Runnymede Swimming Club. 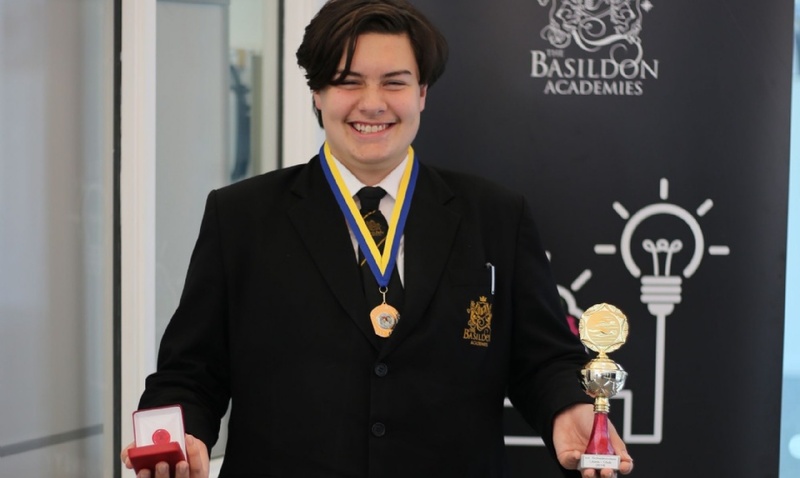 Since joining Runnymede 2 years ago, Chris has competed for their team in local gala events and individually at a national competition in Norfolk, where he won the Silver Medal in the 25 metres backstroke. In his latest competition Chris was part of a team that represented Britain against teams from Belgium and Germany at the Schwimmfest International Gala in Cologne. Swimmers took part in individual races with points awarded to their team for the finishing position. Chris showed his versatility by taking part in 3 races; Front crawl, Breaststroke and Backstroke. The British team were victorious, amassing the most points and winning 20 of the 33 races. The Schwimmfest tournament is hosted biannually, and Chris is keen to compete in the next gala, which will be held in Belgium.